Since the visa-free regime hasn’t yet established between Russia and Canada, you need to obtain a permit to enter in any Russian consulate in the territory of Canada. Russian visa for Canadian allows planning visit for different purposes such as tourism, business management, education or meeting with relatives. In the material presented below, you will find all the information about visa insurance for Canadian and necessary expenses. Canadian nationals need Russian visa in any situation except for 72-hours tourist program. 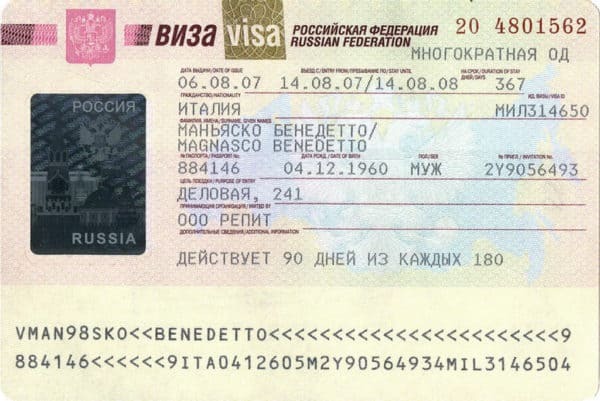 Visa is a permission document confirming your right to cross borders of the Russian Federation for particular purposes. Anyway, the visa issuance begins when you obtain an invitation and finishes with the visit to the consular authority for an issued visa. An invitation will be arranged by the receiving party, which is Russian organization or Russian citizen. Each time when re-applying (prolonging) for a visa, you need to provide the same document set. The visa price can be higher if you apply through the Visa Center. In this case, you will also have to pay a service fee. The receiving party is usually the tour company providing you with tourist services. The necessary detail is the presence of the tourist contract with a particular company. Tourist visas are issued for a period up to 30 days depending on confirming documents about purposes and the alleged route. The legal ground for the visa request is a tourist invitation. 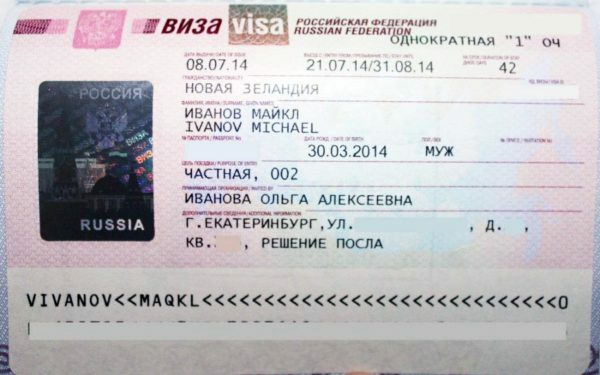 Visa documents won’t be considered in case the package doesn’t include a tourist invitation from the Russian party. 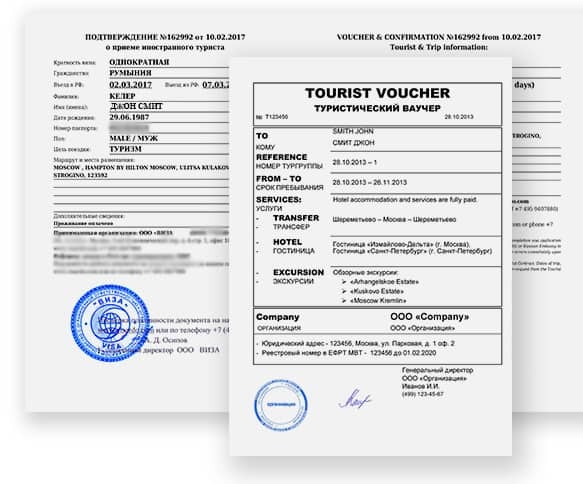 This document consists of the voucher and the confirmation proving the fact of using tourist services and having a residence in Russia for a period of stay. The issuance of the tourist invitation falls on the tour company when you purchase a tour voucher. If you don’t use tourist companies’ services, there are several special organizations which might help you to get an invitation. Sometimes you need a Russian visa to visit your relatives. In order to get it, you have to confirm that you really related with Russian citizens while applying for an invitation. After document verification, the AFMS will issue an official form of the invitation that should be sent to the foreigner. 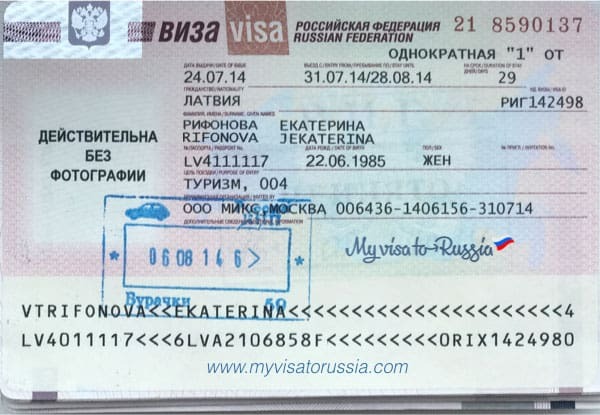 The visa legal regime requires foreigner’s registration after coming to Russia. It can be held by the MIA authorities or by the hotel where the Irish national stays. The violation of this rule may lead to the obligation to pay the fine and even to foreigner’s deportation. What visa do you need in cases of one-time business visit or permanent entrepreneurial activity in Russia? This means that you need a business visa, which can be issued for a period up to one year. Legal visa regime assumes that you have no right to stay in Russia longer than for 90 days in half a year. Obeying this rule guarantees the following visa prolongation. In order to open a business visa for Canadian, you need to obtain a business invitation from your Russian partners. Its issuance has the peculiarities and can be arranged by different ways. If you plan a long-term partnership with a Russian company we recommend the issuance of an invitation in this company’s own form. 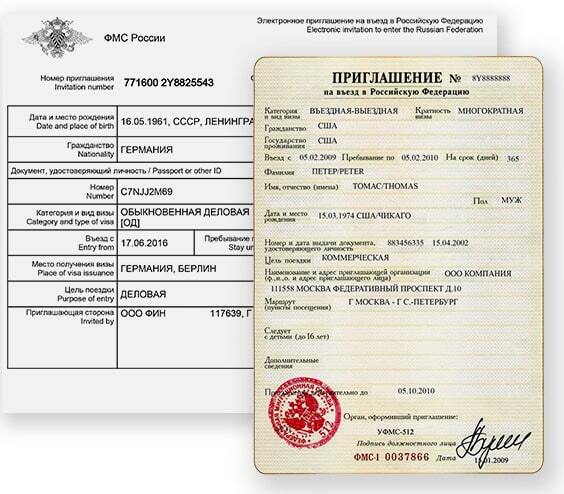 It can be real in the case of pre-accreditation of the Russian company in the MFA of the Russian Federation. In this case, a visa will be issued within a couple of hours and there is no need to apply to the AFMS. If you need to get an invitation as soon as possible apply to our specialists so that you can obtain a visa in time. In standard situations, the business invitation can be issued in the form of the AFMS. To achieve it the Russian company should apply to local migration body of the MIA and provide the ordinary package of documents. The business invitation will be issued in the official form of the AFMS and sent to a foreign partner in the form of a copy or in the original copy. For doing this again or for prolongation of existing visa you have to get a business invitation once more. There is one another option of getting an invitation that implies acting through the MFA authorities. In this case, you’re making a visa on the basis of an invitation coming by special diplomatic channel – Telex. The document goes directly to the consulate or embassy that’s why the businessman just needs to apply for a visa. This method is one of the most time-consuming so you need to arrange it in advance. If you need to organize a business trip for your Canadian partner (including long-term trips), apply to our specialists. We will choose the most effective way of getting an invitation and provide you with prepared document right in the day of the appliance. The most time-consuming type of visa is a work type. In this case, all the formalities lie on the Russian party presented by the employer. The duration of visa can amount one year but Canadian nationals have a right to prolong it by re-applying to the consular authorities. Only after all these formalities, a Russian organization can send Canadian national an invitation on the official form. After signing an employment contract you need to observe the legal regime of stay in Russia. In addition to the standard registration rule, the employer has to notify the Migration Service about the contract signed. For further prolongation, an external worker has to abandon Russia and re-apply to the consulate in Canada. Our company can take over all the formalities connected with work invitation. Just fill out the feedback form on our web and indicate the basic data about invited employee. Phone number: (8-10-1-613) 235-43-41, 236-14-13. Phone number: (8-10-1-613) 236-72-20, 236-62-15, 236-09-20. Reception hours: From Monday till Friday, 9.30 a.m. – 12.30 p.m. Phone number: (8-10-1-514) 843-59-01, 842-53-43. Reception hours: From Monday till Friday, 9.00 a.m. – 12.00 p.m. Address: 175 Bloor Street East, South Tower, Suite 801, Toronto, Ontario, M4W 3R8.